Nosepiece Quadruple nosepiece with accurate centring and positive click stops Stage Detachable horizontal graduated mechanical stage size 120 X 120mm with adjustment for slide manipulation up to 45 x 75mm. Illumination Plano-Concave 50mm adjustable mirror on gamble mount. Interchangeable with sub-stage illuminator (Optional).Objectives Achromatic 10X, 40XSL and 100 XSL Oil immersions. 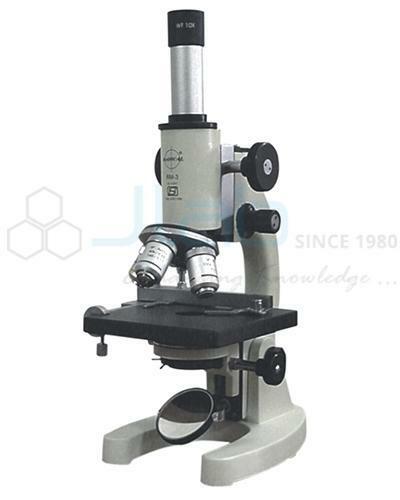 Eyepieces Huygenian 10X-15X or WF 10X.